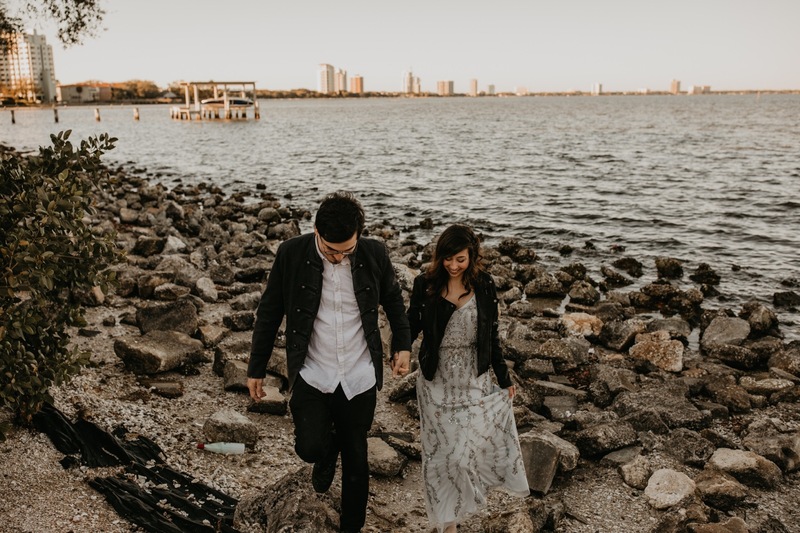 Moji and Kyle had a blast running around Ballest Point Park in Tampa at their engagement session. These two artists are truly made for one another. From the first minute, I met them I knew their session was going to be a one to remember full of laughter, love, and heck more laughter. When Moji first chatted with me on the phone she told me both Kyle and she are really awkward in front of the camera but that didn't scare me one bit! As you will see below their session was far from awkward. They both wanted to have their session at Ballest Point Park because it holds a special place in their heart and they often love hanging out there together. I can't tell you how much I love the fact they picked this spot and just how beautiful it really is. I’m also excited to say Moji and Kyle are getting married this weekend and I can’t wait to post all about it!